Yes, that’s right, today is my birthday. 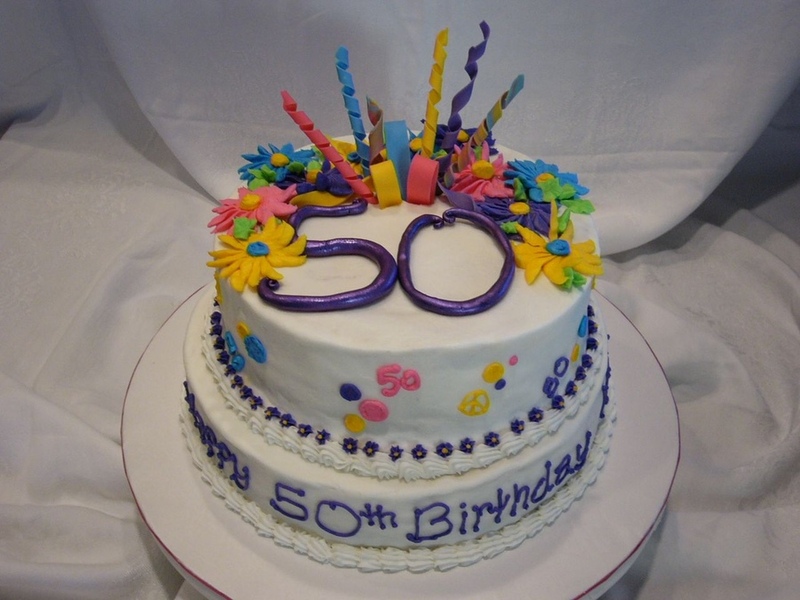 I confess to approaching a half century of life with some ambivalence. My life hasn’t exactly turned out like I hoped it would at this stage so coming into this birthday was a bit hard. On one hand, I wanted to have a big celebration but then wasn’t really up to it. But some wise words from a fellow classmate kind of jolted me out of myself. He asked if I thought Israel had an option of celebrating the various feasts. No, they glorified God regardless. And I shall do the same. I am thankful for life and God’s many blessings. 1. The fact that life is unfair and not always kind does not stop us from wishing it were. 2. Pay attention to bad patterns in your life. 3. The hardest person to be honest with is yourself. 4. Value the input from others. Sometimes they see things we can’t. 5. You can’t change the past but pay attention to how it has changed you. 6. People are never who you want them to be and will likely surprise you. 7. The things that present the most discomfort usually point to what needs the most change. 8. Remember the innocence of your youth. 9. Its ok to admit when life hurts. 10. Facades may seem like a good solution but only hurt you in the long run. 12. You can’t make people be Christians. Only God can open their eyes. 13. It’s easy to criticize issues that don’t touch us. 14. Putting yourself in somebody else’s shoes means stepping out of your own. 15. Shame is a tough taskmaster that enslaves you to self-protection. 16. Sanctification for the Christian is often slower than we’ll give credit. 17. The Lord is far more patient than we realize. 18. Idolatry is a convenient charge when another’s issues are poorly understood. 19. There is no such thing as pure objectivity. Our lenses are clouded on varying levels from history, experience and personality. 20. When we don’t have a good reason for doing stupid things, there’s something deeper at work. 21. Know when you’re talking out of your wounds. 22. Stuff that happens to us in life impacts us, even if we don’t want to admit it. 23. Cherish the small, ordinary joys. The big ones are few and far between. 24. Tangible restoration of broken dreams and circumstances make a difference. 25. Cliches and timetables are no cure for grief. 26. Cherish relationships and the people who care. 27. We can never fully know another’s story. The less we know, the less we should talk. 29. Humanity is complex no matter how simple we want it. 30. Pretending you don’t hurt when you do will hurt more in the long run. 31. Perfect parenting is a myth. 32. Perfectionism in parenting will ultimately fail on some level. 33. The bigger successes are what we accomplish for others. 34. There’s a fine line between confidence and pride. 35. We’ll find convenient hiding places from stuff we don’t want to deal with. 36. Good and acceptable things can be hiding places. 37. Christianity really is about Christ not stuff we do for him. 38. Laughter makes a difference and is worthy of pursuit. 39. Learning cannot be exhausted. The more I learn, the more I learn how much I don’t know. 40. Knowledge should be used as a gift, not a weapon. 41. Don’t take yourself so seriously. None of us are that important. 42. You can never really let go of your past, only recover from it. 43. It’s good to feel like you matter. Let others know they do as well. 45. The bible does not tell us everything we should do in life. That’s why God gave us wisdom and others. 46. Underneath every hurt displayed are most likely a few we don’t know about. Mercy is good. 47. Choosing sides over definitions will always result in accusations. 48. “Most” is usually a term to mask superiority without empirical evidence. 49. Thinking you’ve arrived is usually a sign that you haven’t. 50. There’s a thin line between disappointment and bitterness. Gratitude is essential. Next Article Cleaning the Hurt? I am NOT just trying to flatter you Lisa. You’re older than me!! There’s no way I would ever thought that. LOLOL!!! Not by much though Granny. I hit the big five o in March. LOL! BTW, I see some gems in here. I see a couple I’d qualify too, but you have some wise words here. Indeed. I am constantly seeking God for His wisdom in this regard. As you know I do sometimes conduct myself with the tact and diplomacy of a thermonuclear warhead. That’s not always bad. But it’s not always good either. I missed this post last year. Glad to find it in your 2014 review post. Many good lessons condensed to a sentence! I wrote several of them down in a journal where I record quotes, excerpts, and other little thoughts/ideas I want to remember. Thanks Lisa. I am surprised you are 50. I was under the impression you were around 40.